This long-sleeve top, designed in our Mini Cheetah print, offers an understated way to do animal print this season. This long-sleeve top, designed in our Mini Cheetah print, offers an understated way to do animal print this season. Its micro scale and neutral black-and-white hues mix and match with your wardrobe for on- or off-duty occasions. 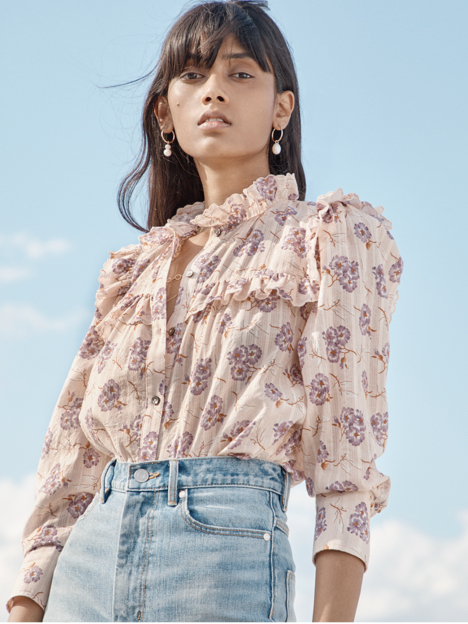 Crafted in a textural chiffon, this long-sleeve top includes slim strings at the ruffled neckline that can be tied in a bow or left undone for a relaxed look.